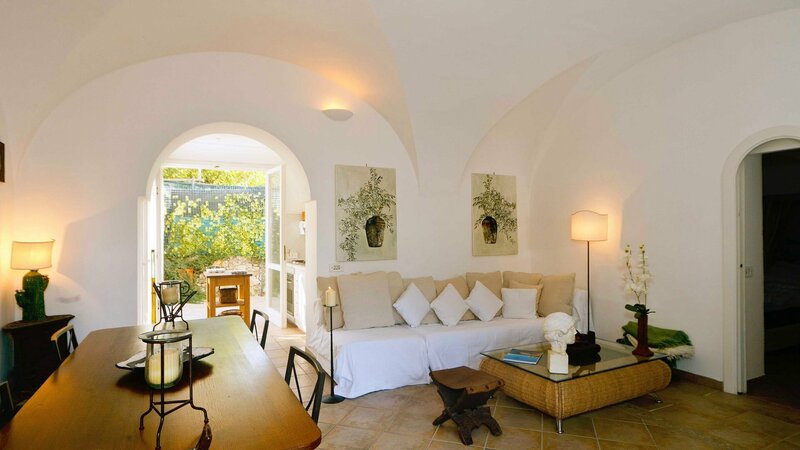 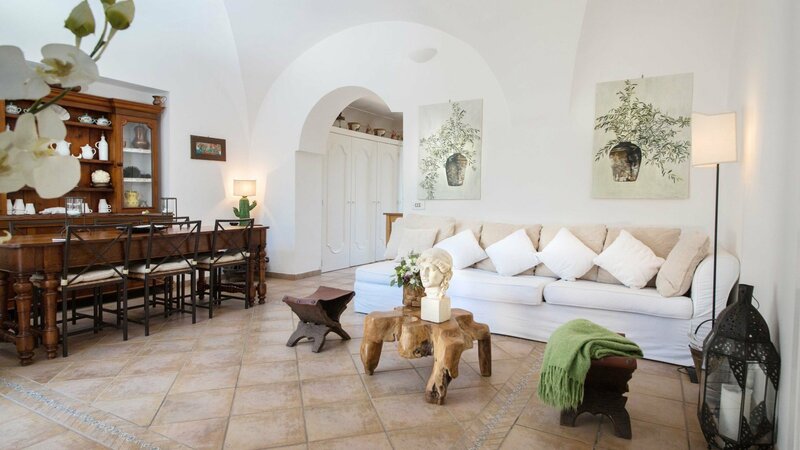 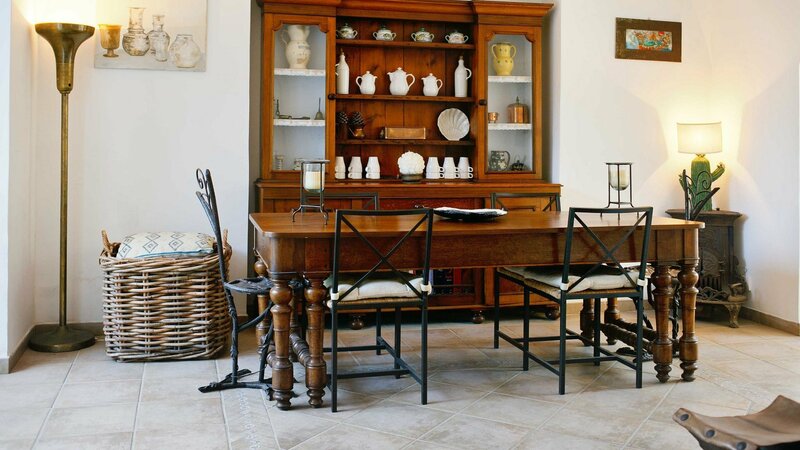 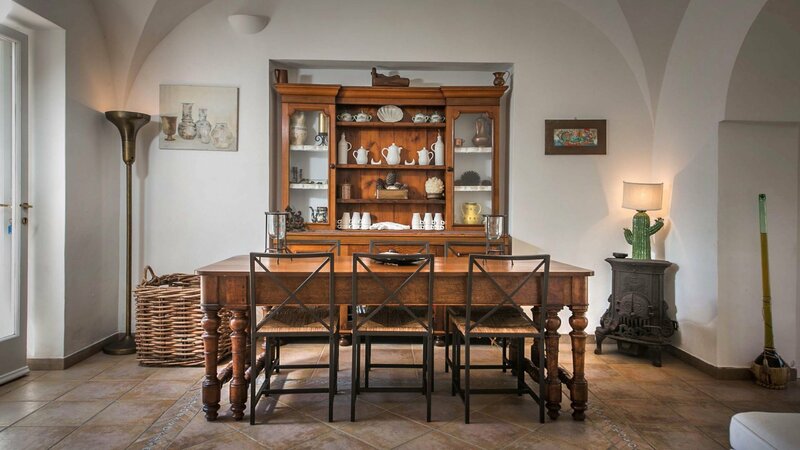 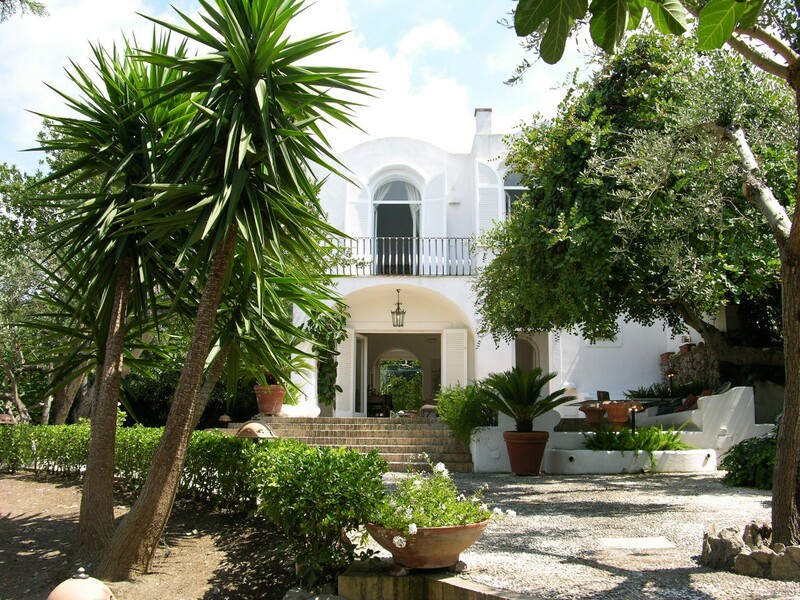 Ambra is a property full of charm, projected and owned from the early 1950s by the Princess Clara de’ Martinis d’Aragona, one of the ancient families linked to Neapolitan events of the 17th century. 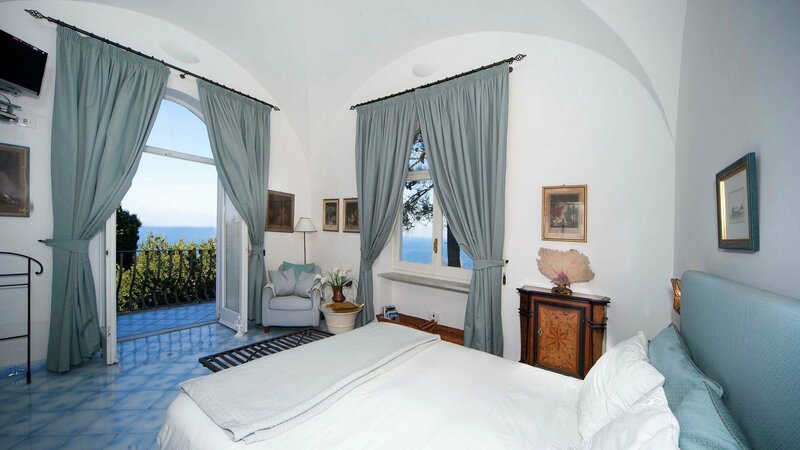 The actual owners of Ambra are descendants of the family of Princess Clara and they have recently restructured the villa with excellent taste and care. 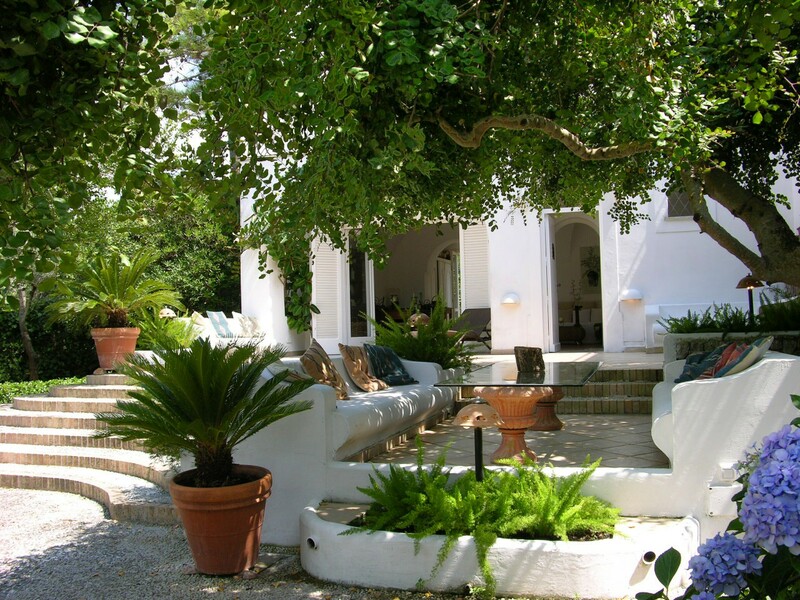 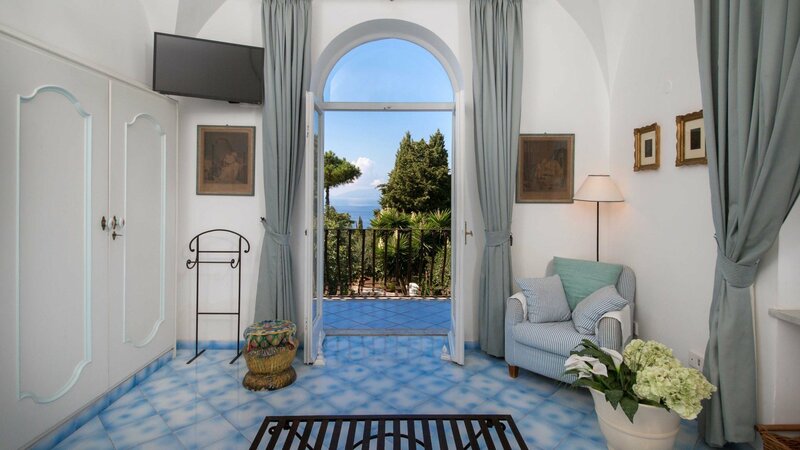 The property enjoys a privileged position on the celebrated island of Capri, in a delightful and reserved location near the famous Blue Grotta. 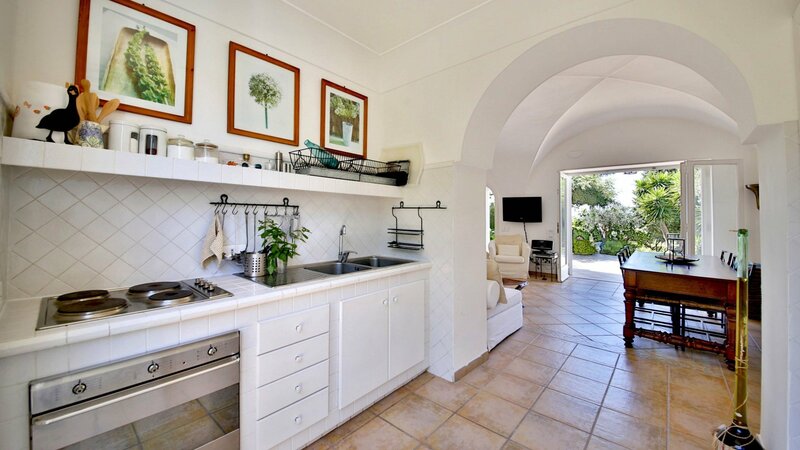 Well connected both to the key points of the island, and to the famous Piazzetta, that offers elegant restaurants, famous night clubs and glamorous shops. 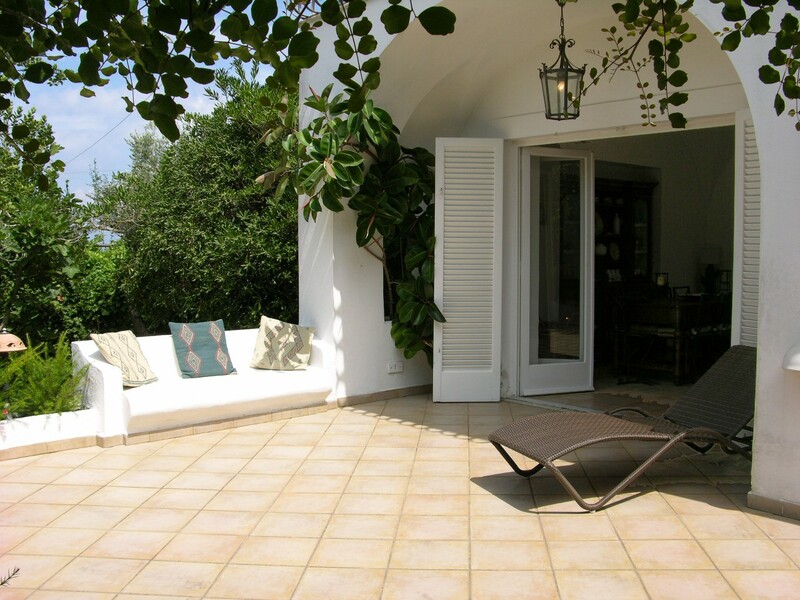 This villa is the perfect venue for those seeking absolute relaxation as well as fashionable evenings out. 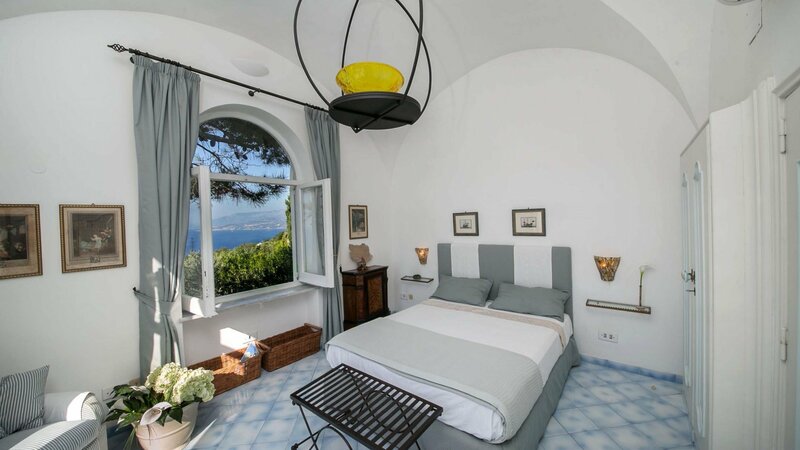 It is a two-level villa, elegant and airy, a place of light and silence, with a breath taking view over the whole Bay of Naples. 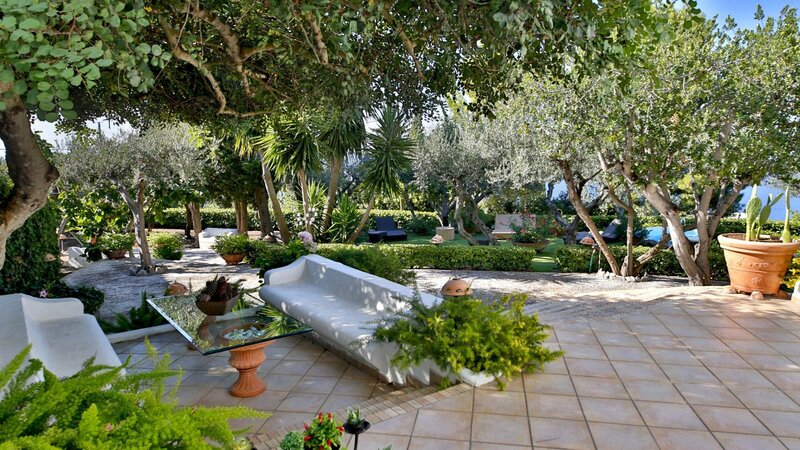 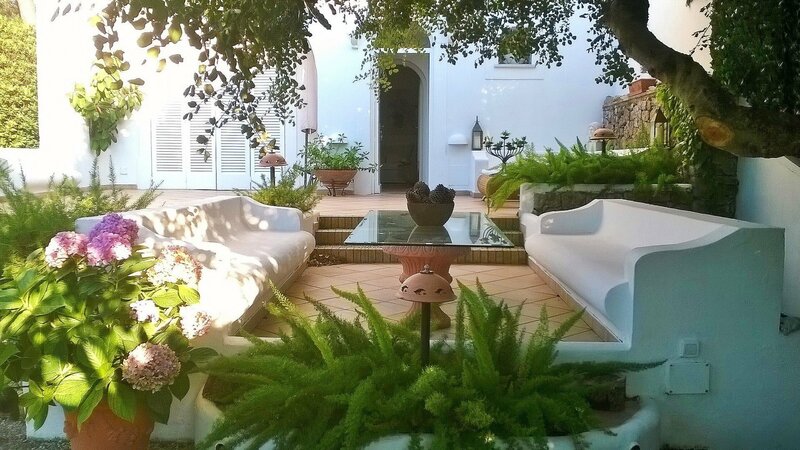 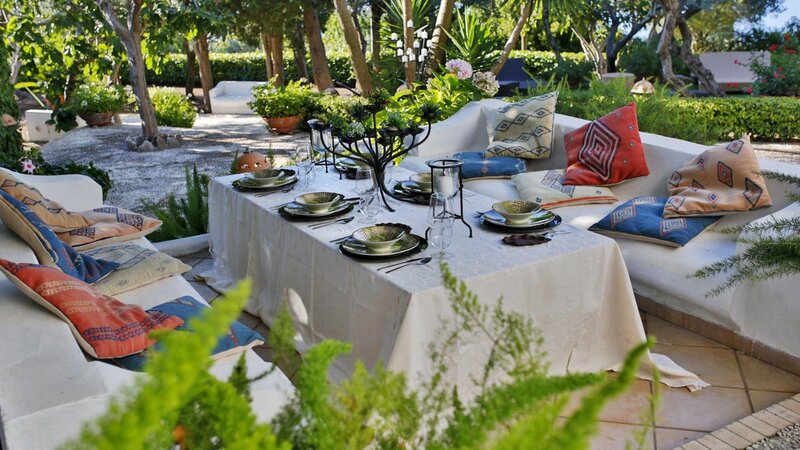 Completely surrounded by a private garden of 1000 square meters facing the sea, filled with Mediterranean maquis, maritime pines, cypresses and olive trees, providing for plenty of shady areas to relax and listen to the singing birds. 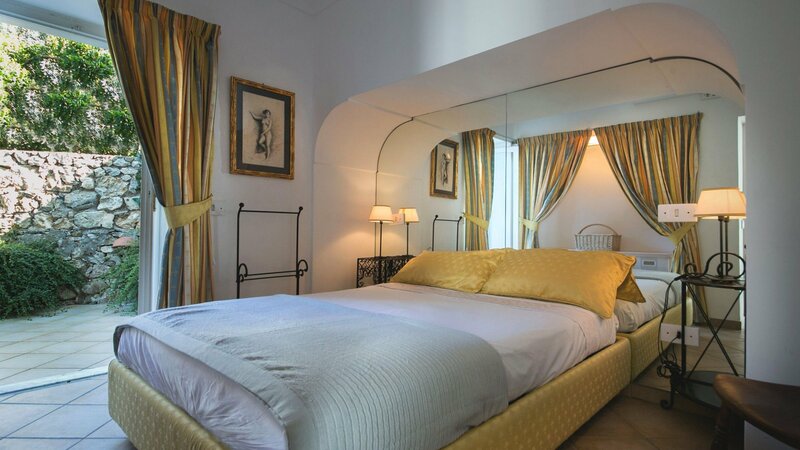 The interiors with vault crossed ceilings are adorned with antiques from the 18th and 19th centuries, combined with more contemporary furniture of immaculate taste; embellished with 18th century French prints, trompe l’oeil and contemporary paintings. 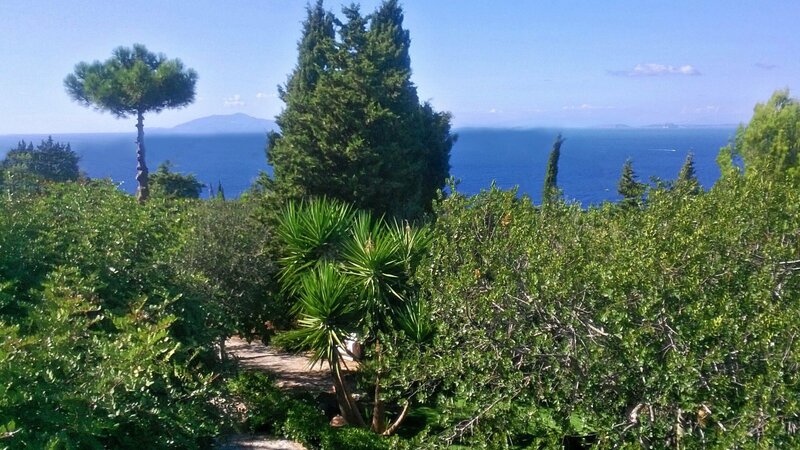 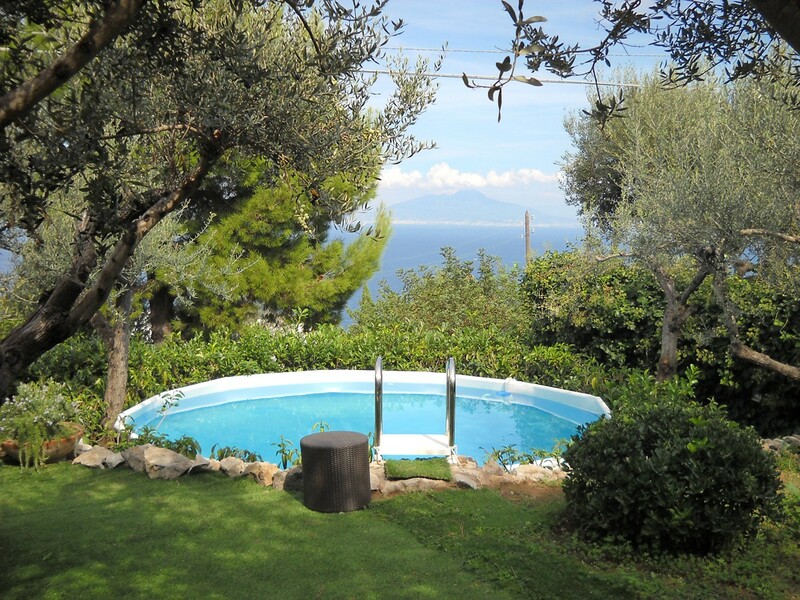 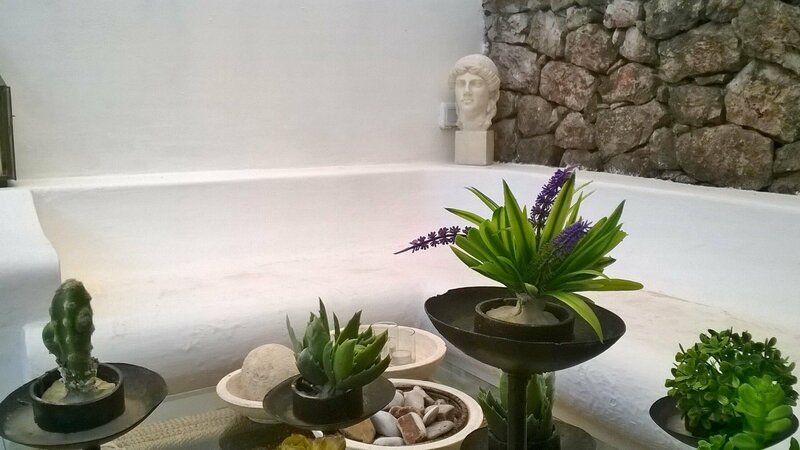 Beautiful surroundings include a nearby pinewood overlooking the sea, an Imperial Roman archaeological site. 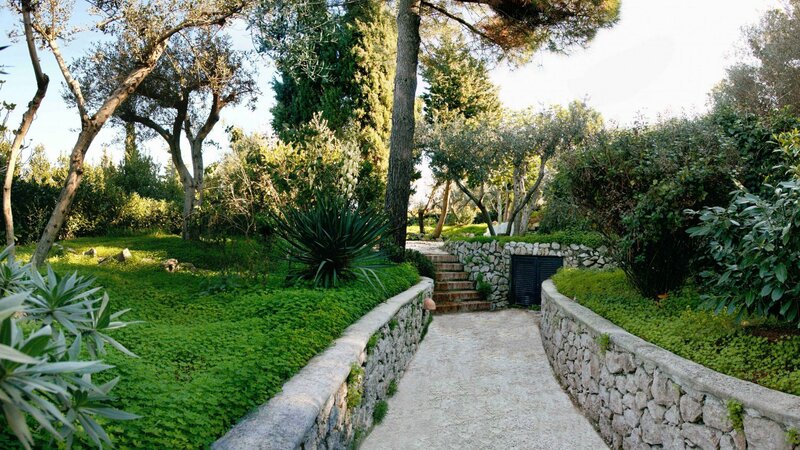 With a short walk down (about 15 minutes) it is possible to swim in the crystal water of the spectacular Blue Grotto, or to get tanned on exclusive beaches, eating specialties of the local cuisine. 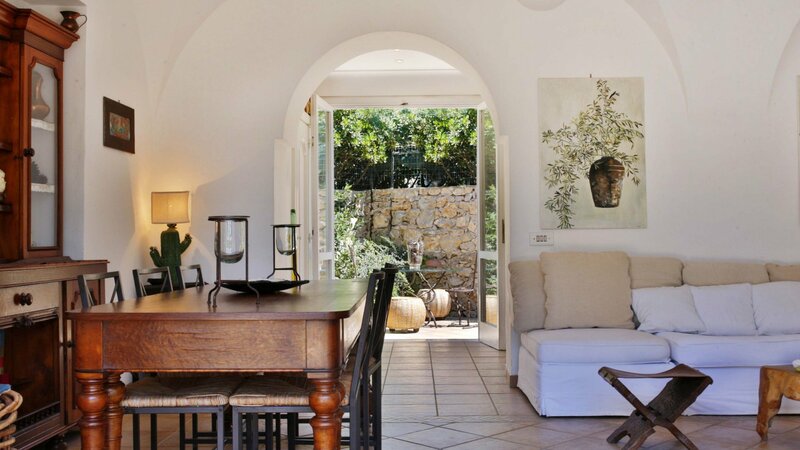 living room with flat screen TV and French windows opening to the garden, dining table for 8 people, kitchen with doors opening to another outdoor area equipped with stone built BBQ and small sitting area. 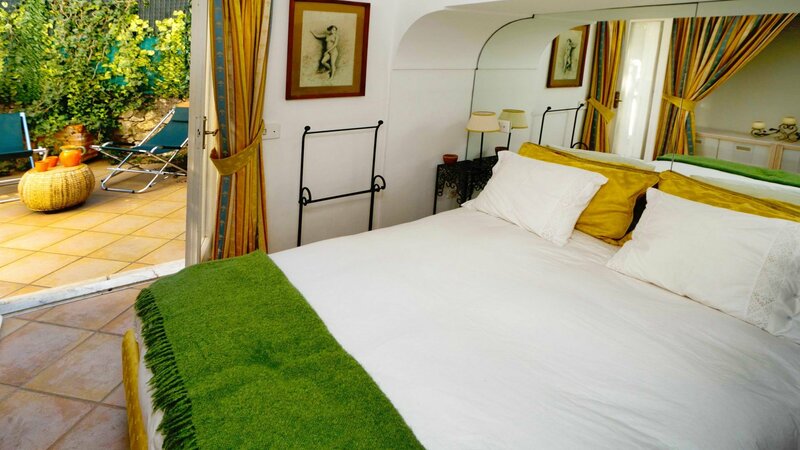 bedroom 1: double bedroom (small, not convertible) with (1 step down) en suite bathroom with shower and doors opening to the outdoor area. 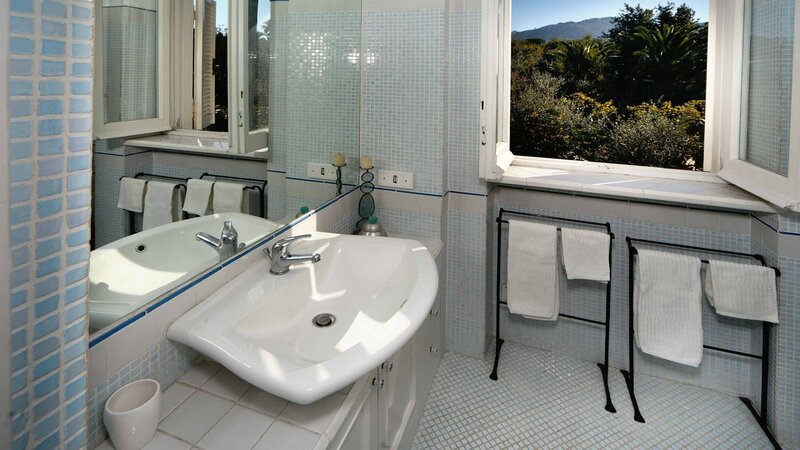 20 steps up, 1 bathroom with shower. 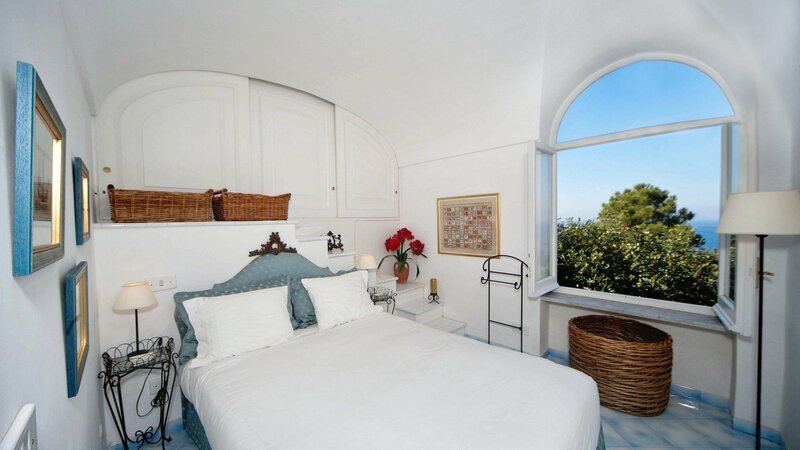 bedroom 2: double bedroom (not convertible) with TV and sea view. 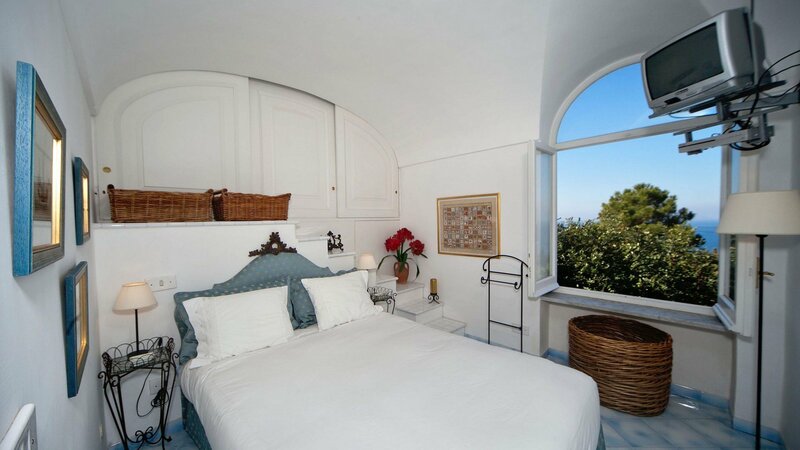 bedroom 3: master bedroom (not convertible) with flat screen TV and doors opening to a small terrace with sea view. 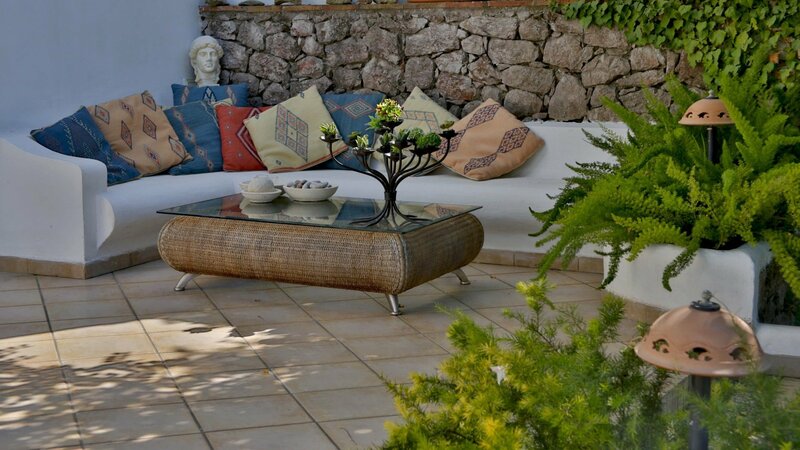 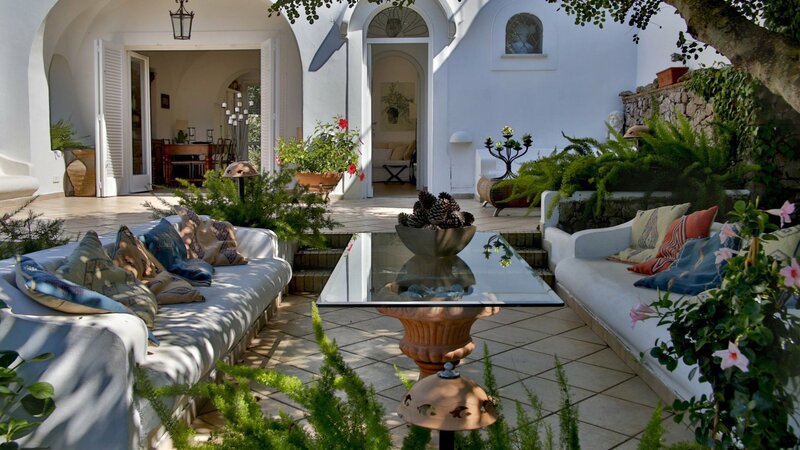 big terrace with big couches situated under a tree, two dining tables perfect for al fresco dining, outdoor shower. 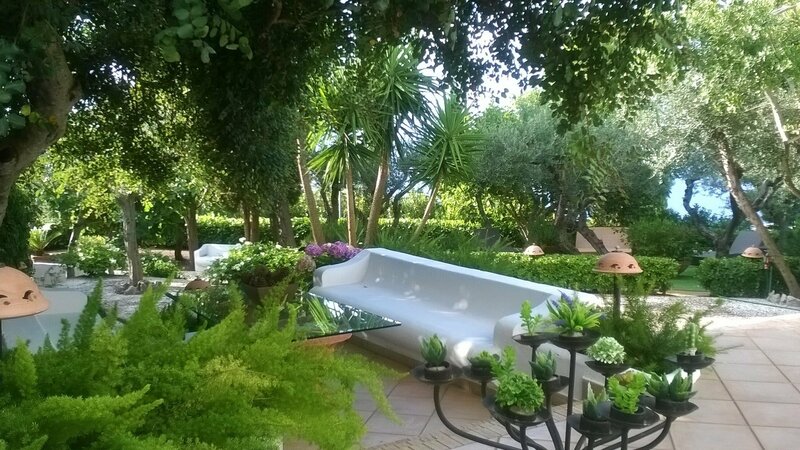 nearest supermarket on 500 mts, restaurant (who delivers at the villa as well) 1km/0,6mile, bus stop on a short walk from the villa, beach 15/20 minutes walk. 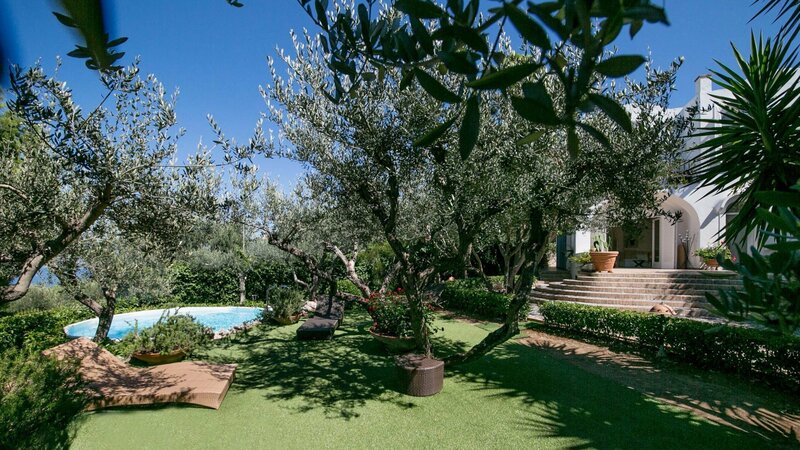 please note that the garden in the solarium area is made of AstroTurf. 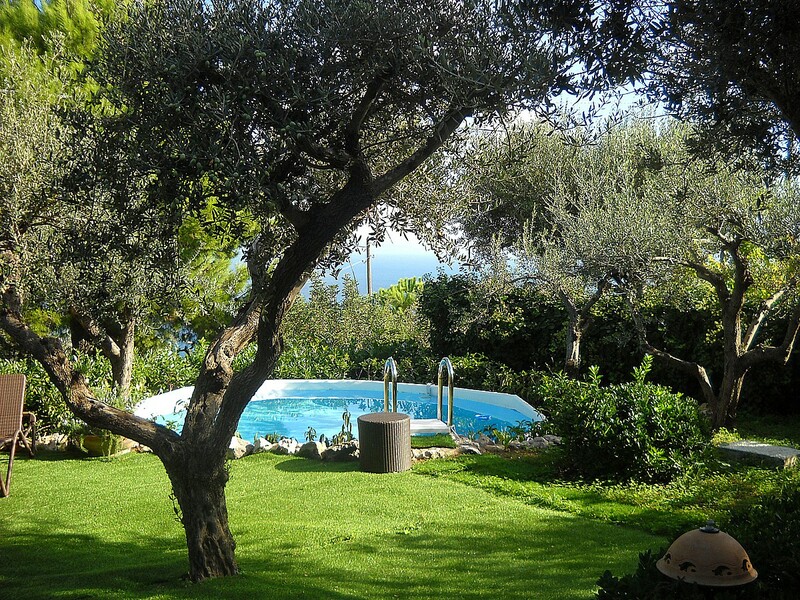 A private car at the property is available on request. 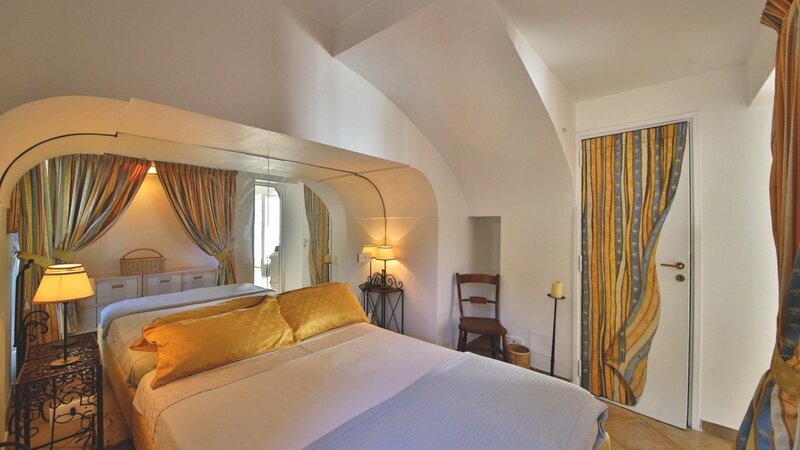 Check-in from 1pm to 5pm. 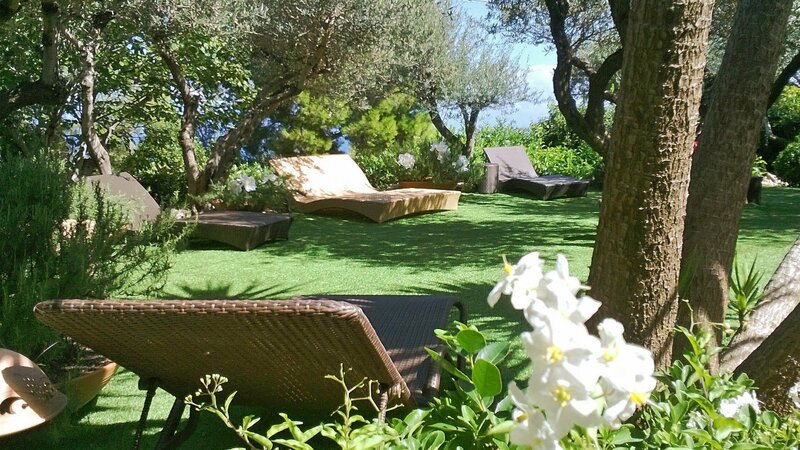 For check-in after 5 pm please note that an extra charge applied. 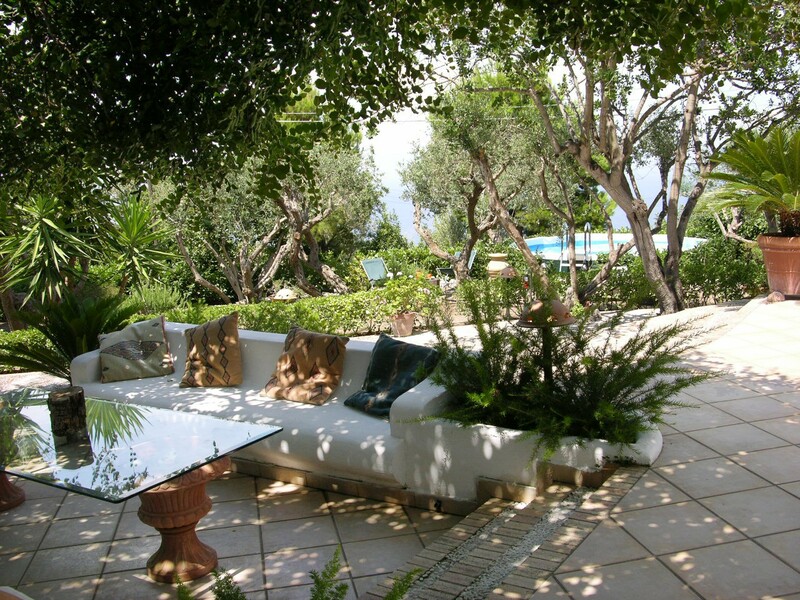 Non smoking villa, pets allowed upon request. 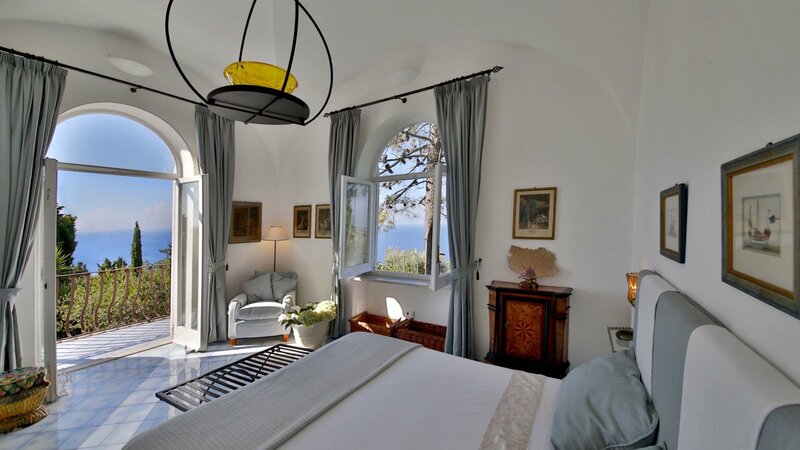 Concierge service, maid service 3 hours once a week (Wednesday), electricity, final cleaning on Saturday, change of linen on Saturday, change of towels on Saturday and midweek. 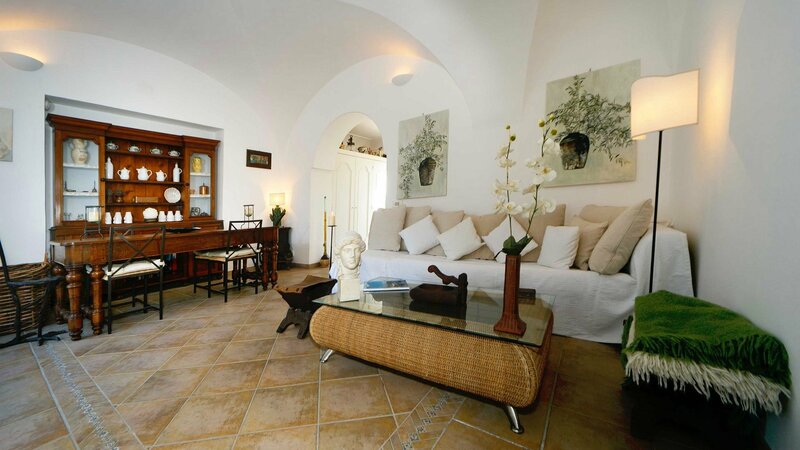 extra maid service 15 Euros per hour, babysitter 20 Euros per hour, cooking service from 20 to 50 Euros per hour (food excluded) depending on the chef hired, air conditioning 300 Euros per week, heating 300 Euros per week, check in from 1pm to 5pm, after 5pm there is an extra fee of Euro 150 to pay. 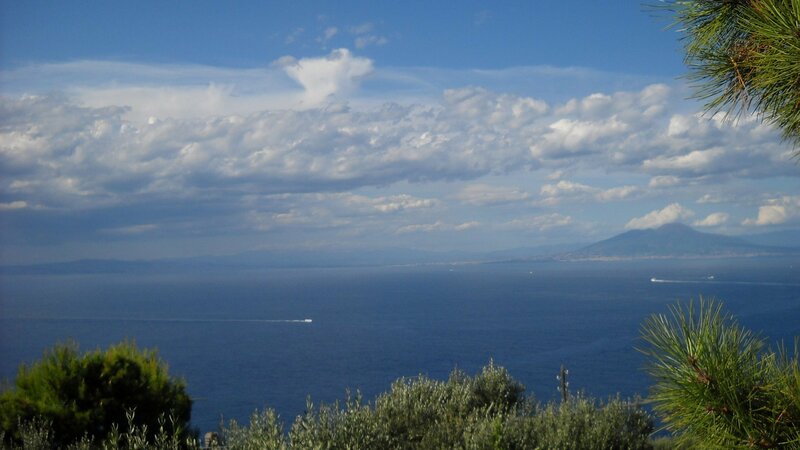 Anacapri 500mts, Marina Grande 6km/3miles, Sorrento 24Km/15miles (1 hour by boat), Naples 45km/28miles (1 hour and a half by boat).